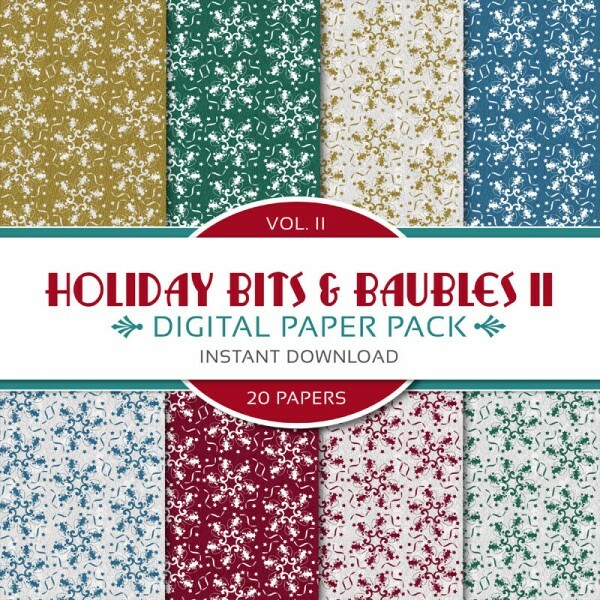 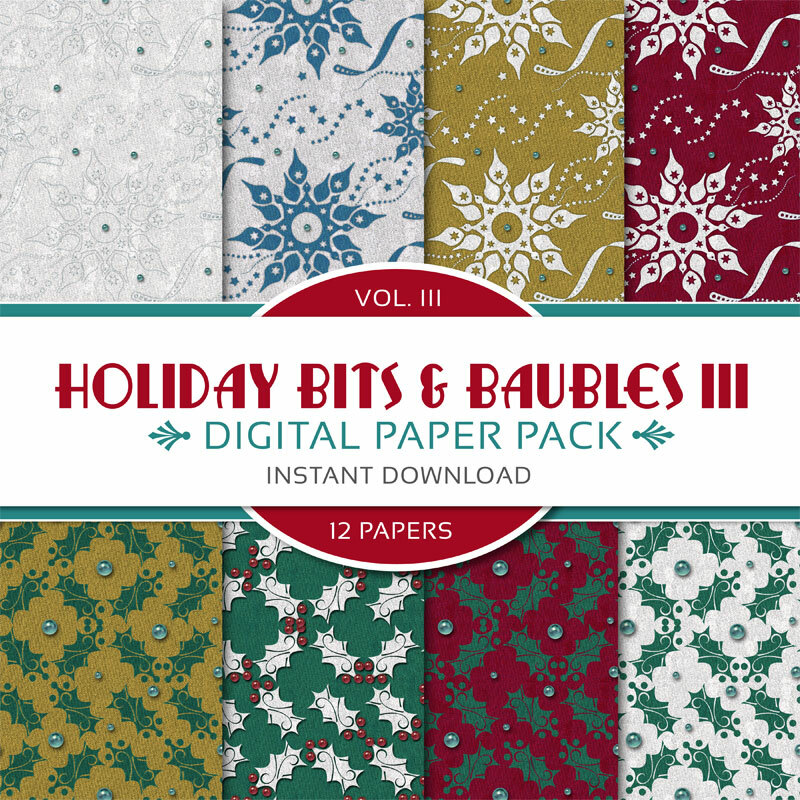 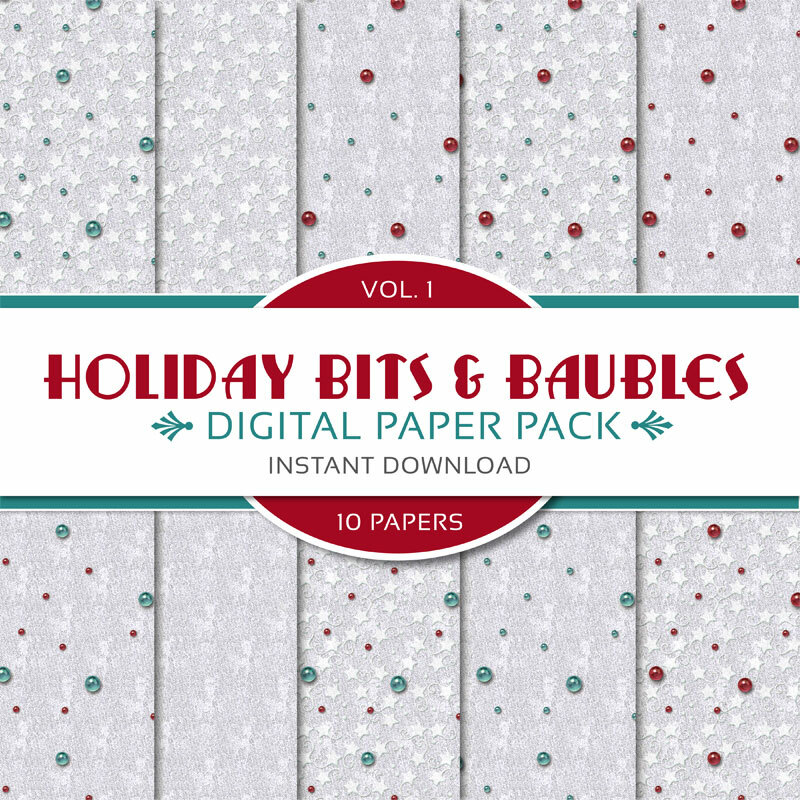 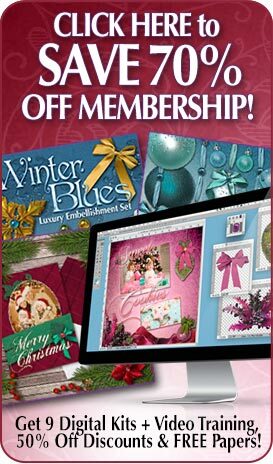 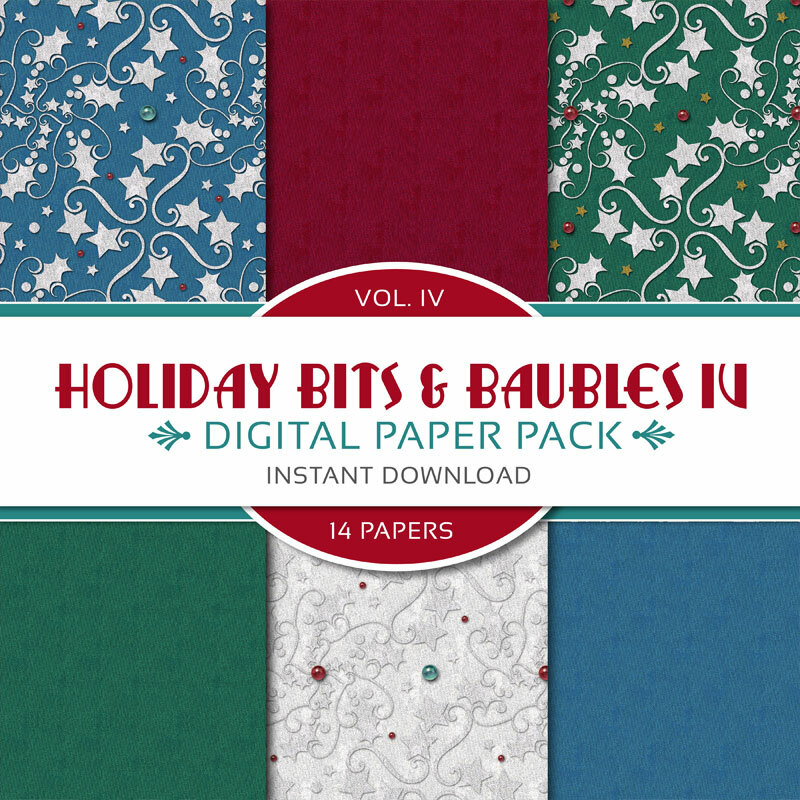 Santa came to town early this year with this 56-piece digital holiday paper pack bundle! 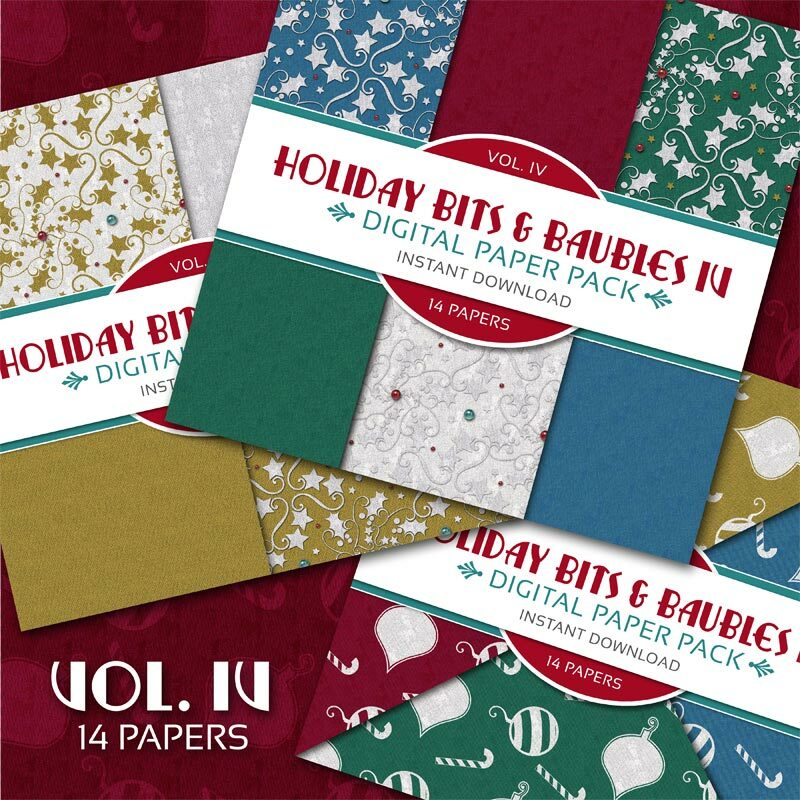 Categories: Christmas Collection, Digital Scrapbook Kits, Digital Scrapbook Papers, Digital Scrapbooking Kit Bundles, Holiday Collection. 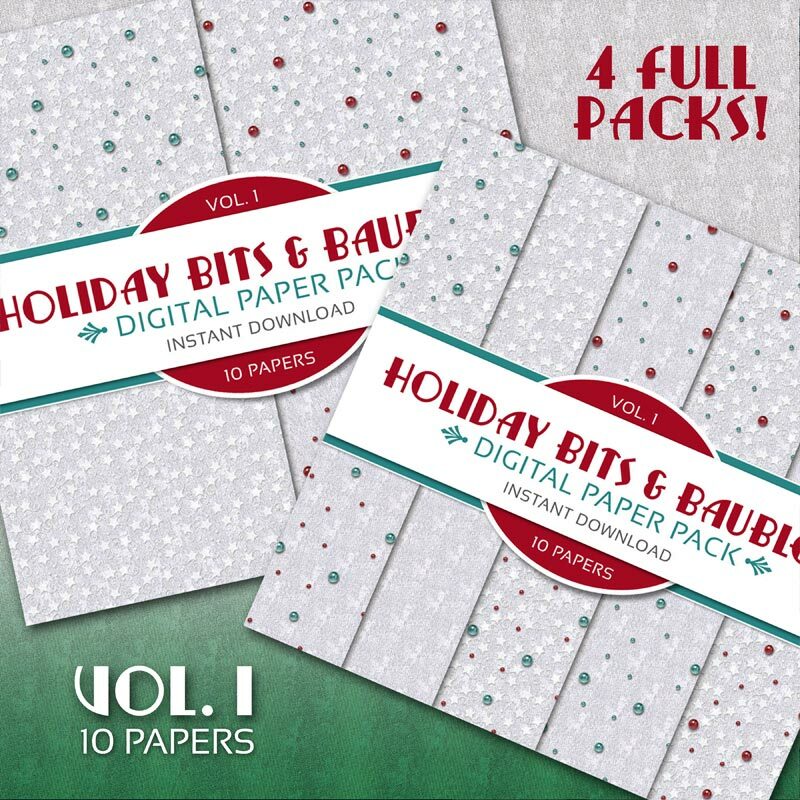 Tags: Christmas, Digital Paper Pack, Digital Scrapbook Bundle, Holiday, Holly, Ornaments, Scrapbook Paper, Snowflakes, Winter. 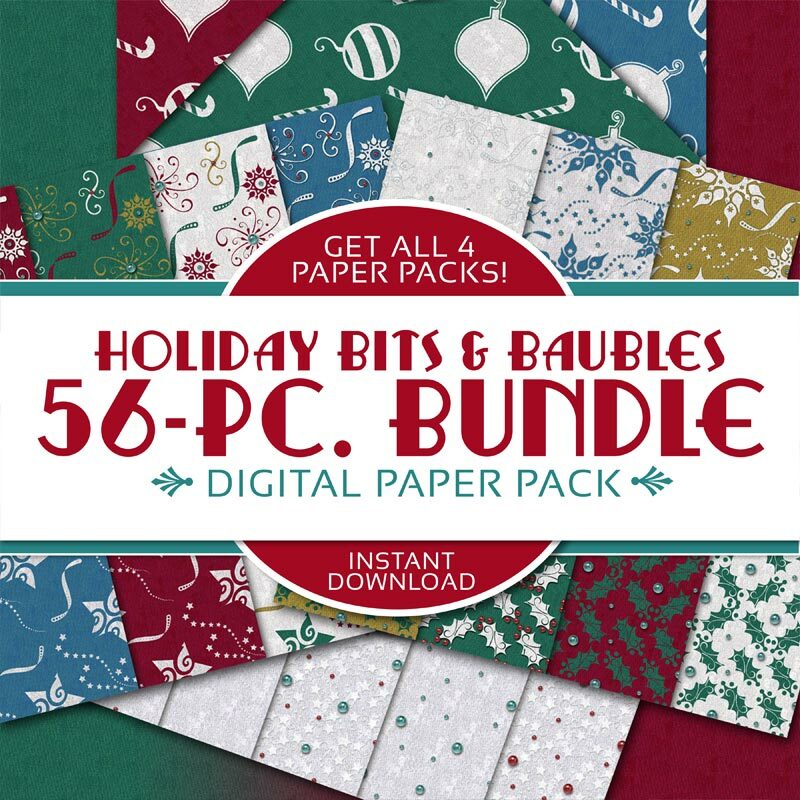 This Holiday Bits & Baubles bundle digital paper pack is a scrapbook dream with 4 volumes of holiday inspired digital papers that will add bundles of cheer to your graphic library. 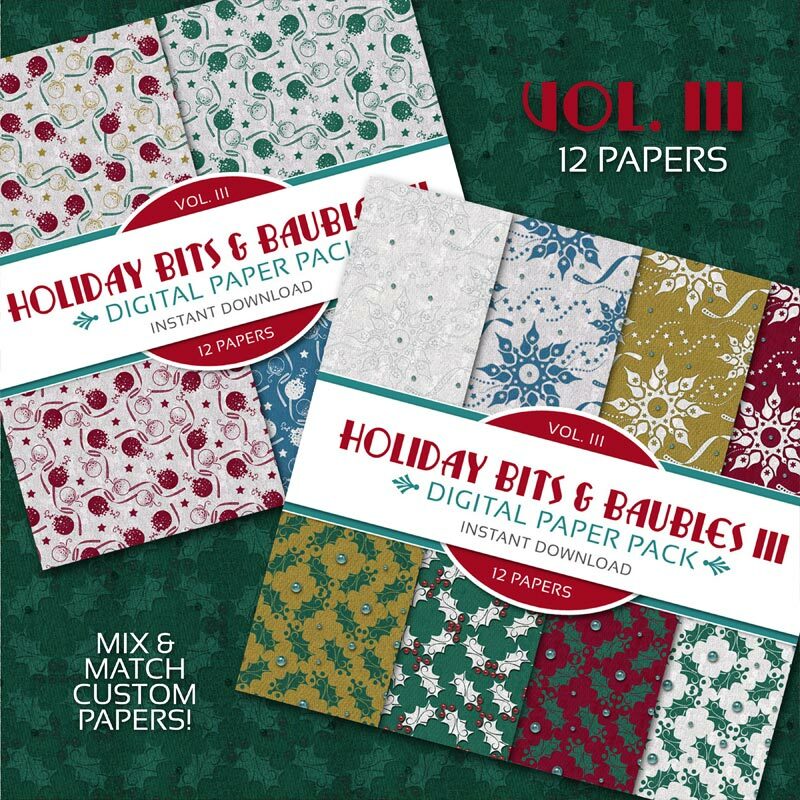 300 DPI print-quality festive scrapbook papers are just right for all your Holiday scrapbooking needs. 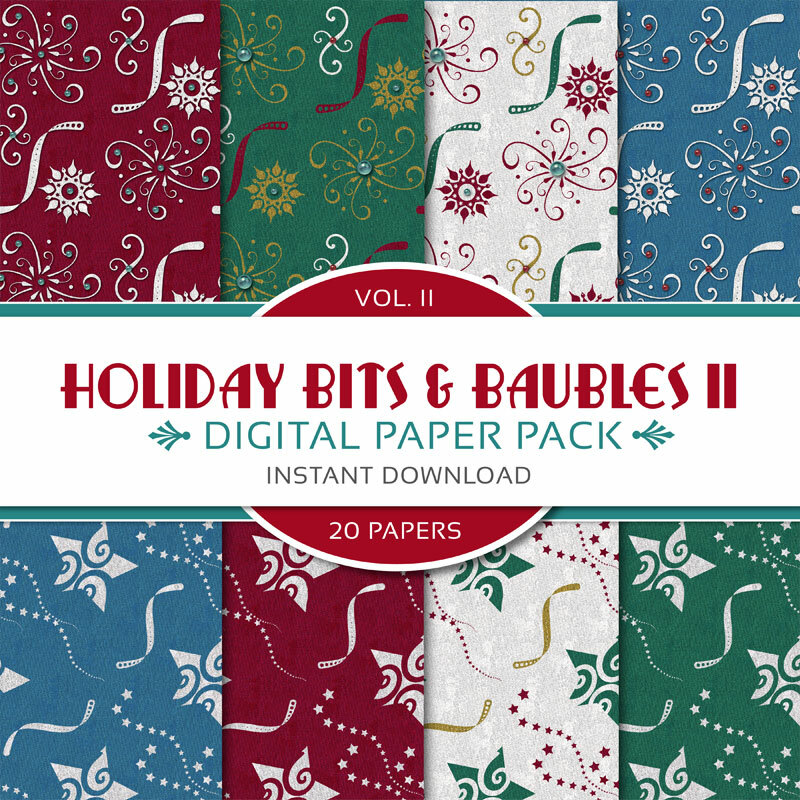 All files are 300 JPEG format ready for print.